Angel Scraps: Guys can cook too! I really believe that kids need to learn to cook....guys too! So I have been teaching our boys to cook! 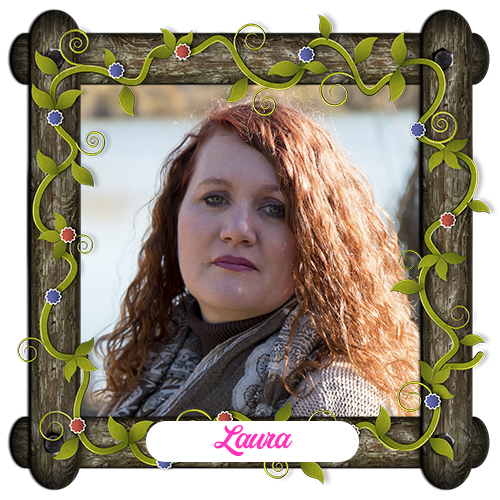 They pick out what they want to cook, and I make sure to have the supplies in the house. Not only do they appreciate what I do on a daily basis, but they learn a valuable skill, they will not be reliant on someone else, or fast food and they can appreciate good food! 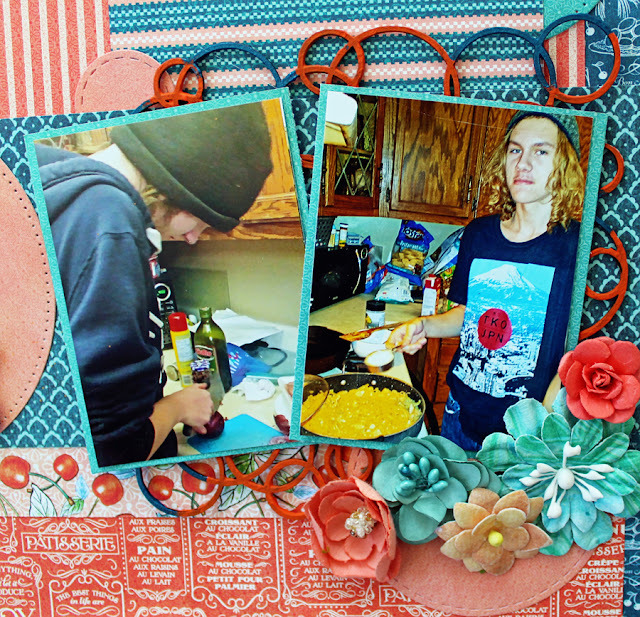 I often take photos of our boys cooking and their food! 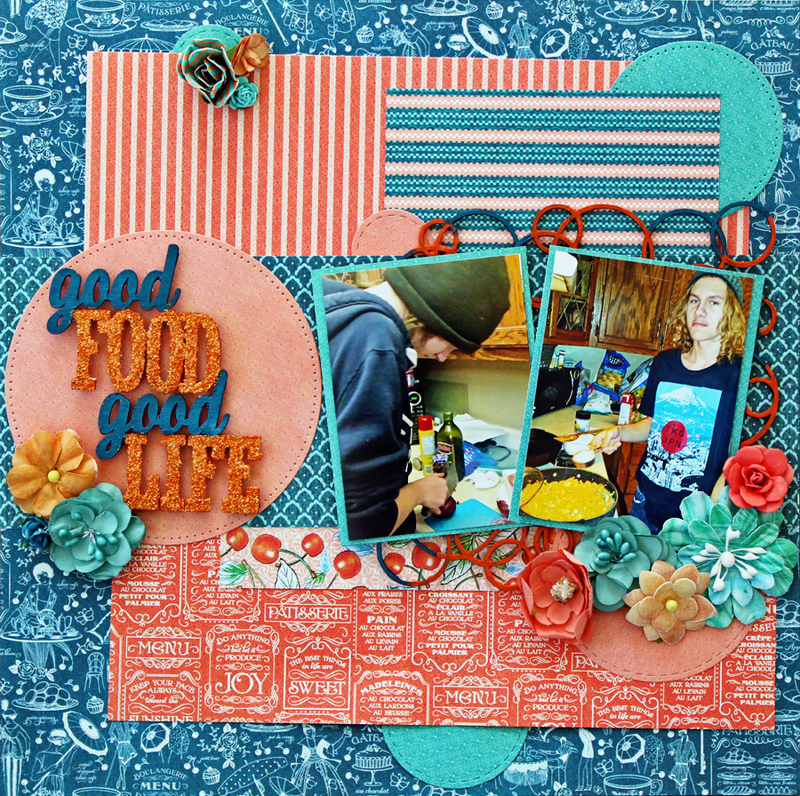 Nicolle created some food themed chipboard and it was perfect for the photos of our boys cooking! 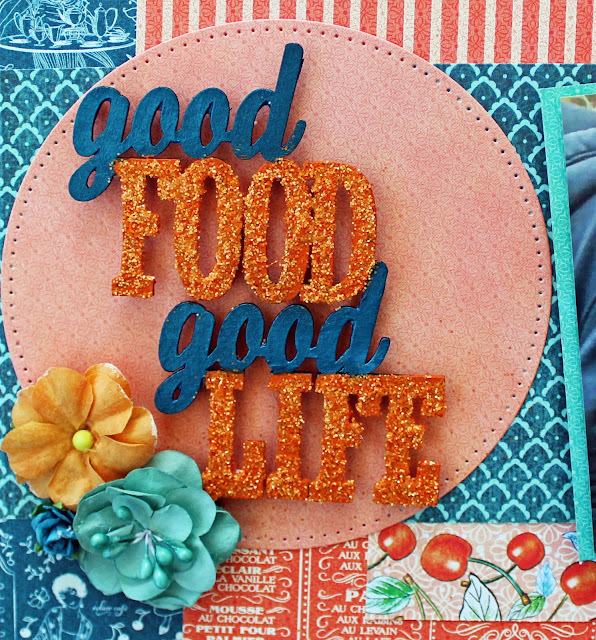 The title 'good food, good life' I painted with Prima paints then added a bit of glitter! Keeping with the circle theme I also painted the 6x6 circle panel with the same paints!